If you travel a lot, you know how important it is to have gear that makes traveling easier. With Christmas coming it's time to start thinking about things to get the people in your life. Whether the person on your list has been naughty of nice, the list below contains some of the things that I use when I travel and would recommend. And I won't tell if you decide to buy yourself a little something. If you're looking for a sturdy and portable iPad stand, look no further than the Compass, by Twelve South. 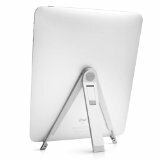 The stand allows you to view your iPad or iPad Mini in portrait or landscape orientation. It also allows you a way to type on the iPad as you would a traditional keyboard. 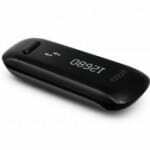 It's available in three colors, red, black and the pictured silver and retails for $39.95 on Amazon. I like it because it's really compact and takes up very little space in my gear bag. The convenient carrying case make sure it stays in pristine shape while I travel. The one con I have about the Compass is that when it's folded, it does look like a knife on airport x-ray and you will get extra screening. I would recommend removing it from your bag and putting it in a bin on its own to avoid any additional delays. Your travel bag may have a limited number of pockets and the like for organization. 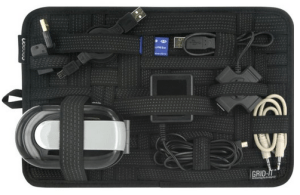 The Grid-It Organizer is a fantastic portable solution for organizing the gear in your bag. If you're like me, you travel with lots of cables, connectors, and more, and sometimes those items can get lost in the bag and not be easily accessible. 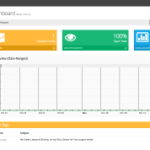 With the Grid-It, you can easily create your own customizable organizational system that suits your needs. It's lightweight, durable, and comes in a few different sizes. The frequent traveler on your list will really enjoy this. The 8″ x 12″ size that I use is only $12.79 on Amazon. If you travel with a laptop, iPad, iPhone, or any other electronic devices that require charging via a USB, you probably get tired of having to carry around so many different power connectors or adaptors. You also have to concern yourself with protecting your devices from power surges, especially when traveling. When you're home, you no doubt connect your devices to a heavy duty surge protector, so why wouldn't you do the same when traveling? 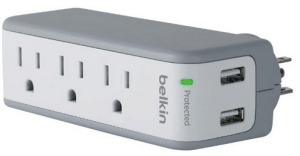 The Belkin SurgePlus is a great portable surge protector that has two USB connections for charging smaller devices like an iPhone or iPad and also has three standard AC outlets to charge other devices like computers. The Belkin is a little on the bulky side, but that's a minor inconvenience given its necessity. It also has the ability to swivel its AC connection, giving you more convenient access to a hard to reach plug. I have the 2.1 AMP 10 Watt version which is able to charge my iPad and iPhone simultaneously without issue. They also have a 1 AMP version that will function fine, but won't be able to charge the devices simultaneously. The Belkin SurgePlus retails for $19.97 on Amazon. This is a must for anyone who travels with any kind of electronics. If you decide to pick one up, I would recommending keeping the cap that covers the prongs. This will keep them from getting damaged while traveling. The GearTie is a set of reusable rubber twist ties that make wrangling cables and cords a breeze. If you don't have a case for your headphones or have charging cables that like to unwind themselves, this simple and versatile accessory by Nite Ize Innovation is a must have. Functioning as rubber-coated twist tie, you can tie up unruly cables easily and then reuse the GearTies over and over again. 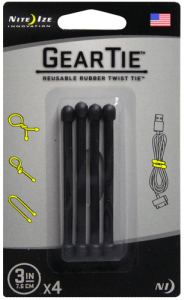 The GearTie is only available as an add-on item at Amazon for only $2.98 for a set of four 3″ ties, but if you buy more than $25 worth of items, it's a fantastic value and very useful. I'd personally buy a few sets – one for me and the others to give away. These gift ideas are great for not only Christmas, but birthdays, anniversaries, or just because. If you know someone who travels and appreciates things that make traveling easier and more convenient, you can't go wrong with any of these suggestions. So now what say you? Do you have any items you'd add to this list? Please share in the comments! The prices are subject to change and were accurate as of when this post was first posted. 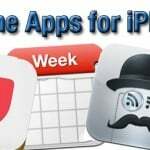 Some of the links in the post above may be affiliate links. This means if you click on a link and make a purchase, I will receive a modest commission from the sale. These links help support the maintenance of this website.